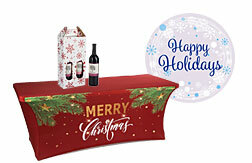 Displays2go is a leading retailer, distributor, and manufacturer of top-quality marketing and merchandising display products. Our goal is to provide a one-stop-shopping experience for commercial, professional, institutional, and residential customers in all industries. 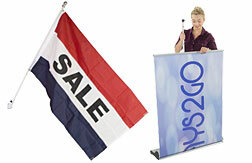 In addition to point of purchase and point of sale fixtures, Displays2go offers trade show, marketing, and retail display products, and facilities furniture and accessories. Our service hallmarks are our comprehensive e-commerce web catalog, extensive in-stock inventory selection, and commitment to quality customer service, including same day shipping for the majority of orders. We use domestic vendors, in-house manufacturing, and international purchasing power to stock our extensive inventory of POP, POS, and facilities maintenance display products, fixtures, and accessories. 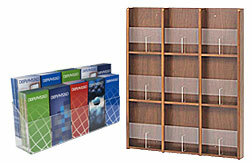 In addition, having one of the largest selections of in stock display products allow us to offer affordable, competitive pricing structures designed for businesses of all sizes, as well as same-day shipping on 98% of our orders. Our standard cost structure features wholesale base prices with bulk discounts that start at low, low order quantities, allowing small businesses and large corporations alike to get the best deal on product display marketing supplies. In fact, our prices are so competitive that many individuals choose shopping online at D2g for residential decor and private collection display fixtures over big-box stores or other online retailers! 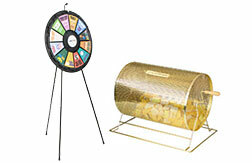 Why choose Displays2go as your B2B merchandising & marketing product supplier? 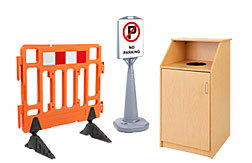 Point of Purchase Displays: POP and POS merchandising tools and accessories are designed to attract maximum retail customer attention while making the most efficient use of space. 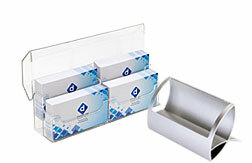 Displays2go offers point of sale fixtures ranging from simple shelf talkers to free-standing cash wrap configurations with locking cases. 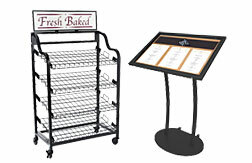 Our physical merchandising displays are appropriate for stores, vendors, and goods of any size, from branded fixtures with integrated signage to simple cardboard countertop stands. 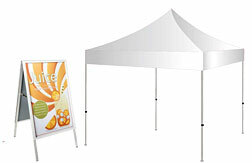 Marketing Display Products: Communication with customers and advertising to attract potential clients are key elements of any commercial business plan. 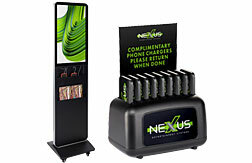 Displays2go.com offers a wide variety of fixtures and accessories that help boost company or brand recognition in any environment. 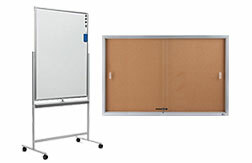 Stock and custom graphics and banners, brochure holders, poster frames and hangers, digital signage stands and mounts, and interactive messaging kiosks are only a sampling of the many advertising display accessories available for sale on our site. Trade Show Merchandising Displays: Businesses across all industries attend off-site promotional and sales fairs, conventions, and events. 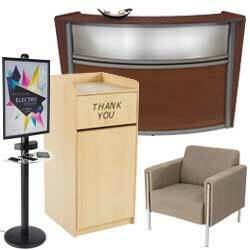 Customized trade show booth accessories and fixtures are a great way to increase customer attraction in high traffic areas. 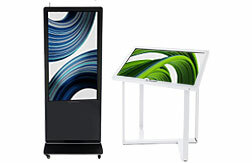 Displays2go’s wide selection includes all-in-one exhibits, indoor and outdoor flags, digital and electronic signage, folding tables, and portable counters. Our focus is on quality, affordability, durability, and portability, and many customized items are manufactured in-house for the fastest possible turnaround and shipping times. 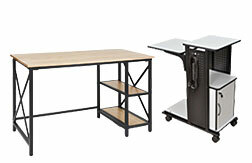 Facilities Furnishings & Accessories: Schools, hotels, conference halls, arenas, churches, clubhouses, and similar establishments understand the specialized needs of shared facilities. 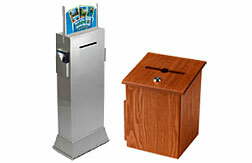 Our selection of speaking podiums, reception furniture, charging stations, and commercial-grade accessories are designed to withstand heavy use by the public on a daily basis. 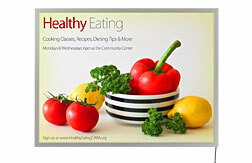 In addition, many of our display products offer “fast-change” designs that allow graphics and messaging to be changed quickly and easily, perfect for accommodating changing advertising, groups, speakers, or presentations. Commitment to Excellence: Every member of the Displays2go.com team is dedicated to providing top quality service and merchandise to our customers. From our knowledgeable customer care representatives to our skilled warehouse staff to our talented shipping teams, each employee adds their expertise to every purchase. 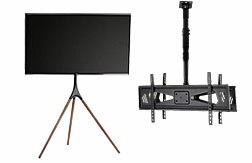 As one of North America’s largest display product suppliers, we offer a complete range of booth fixtures and accessories. We recognize that event furniture needs can vary widely, from weekly or monthly promotions for some companies, and annual industry trade shows for others. 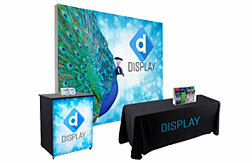 Our selection of exhibit stands and booths includes everything from simple pop-up counters to modular, branded point of purchase promotional exhibits with integrated print and digital signage displays. 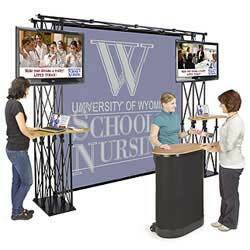 In addition, various designs allow custom-printed trade show displays to accommodate specialized needs, from presentation-based marketing to direct sales to advertising collateral holders designed to increase consumer awareness. 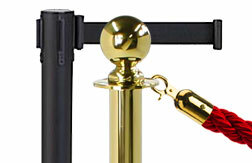 Our in-house purchasing and manufacturing departments are constantly adding new lines, brands, and styles to ensure that our event marketing furniture and accessories keep up with changing customer needs. In addition, our in-house manufacturing team is dedicated to constantly improving both our service and our capabilities. Cutting edge equipment such as flat-bed UV printers allow us to offer increased branding and customization options without significantly impacting order turnaround. 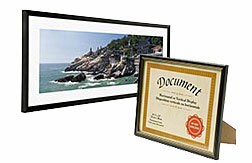 Displays2go.com is dedicated to providing quality production and fast shipping, even on custom-branded items, so that displays arrive as quickly as possible. 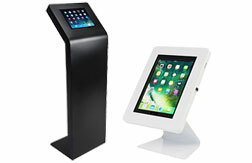 Displays2go understands that POP and POS display products are a key element of commercial and retail product merchandising success. From modular base configurations such as slatwall and gridwall fixtures to portable countertop risers, our huge selection is designed to meet the needs of stores, brands, and retailers in every market. 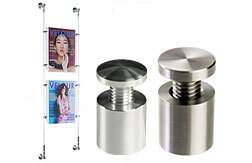 In addition to point of purchase checkout counters, stands, and accessories for showcasing retail products and advertising or marketing collateral, we offer an extensive collection for specialty merchandising. 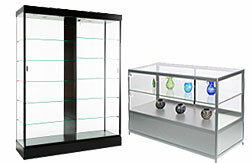 Industry-specific displays include locking cases for jewelry and high-end merchandise, sunglasses racks, chip strips and spinners, illuminated product display boxes, and clothing mannequins. Customers can browse the different styles, finishes, and options to find the perfect match for décor, inventory, or budget concerns. 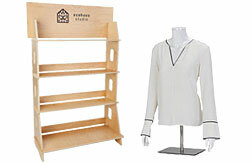 Product display marketing needs to accommodate more than simply merchandise. 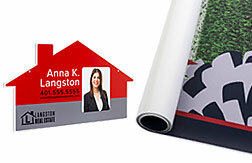 Advertising and sales collateral such as brochures, posters, flyers, and even signage can all be integral to increasing customer awareness and satisfaction. 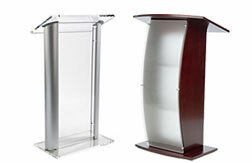 Even facilities furniture such as presentation stands, podiums and lecterns have an impact on operations and the bottom line. 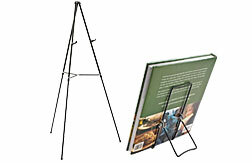 Our wide selection of brochure holders, sign frames, and furnishings come in a full range of sizes and styles. Many items include custom branding options, such as digital, UV, and silkscreen printing for high visibility logos, messaging, or graphics. 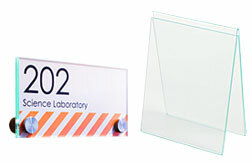 In fact, many of our customized displays, including our entire Workshop Series line of fixtures and accessories, are manufactured and printed in-house in order to reduce lead times. A: Huge Inventory + Low Prices + Experience + Fast Shipping! More than 40 years of expertise make our company uniquely qualified in sourcing, distributing, and even manufacturing fixtures, accessories, and furniture designed to help businesses succeed! 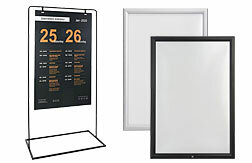 No matter if you are a store owner or manager, facility manager, operations supervisor, administrator or corporate purchasing agent, or simply ordering for personal or residential purposes... Displays2go makes it easy to find and order the products needed to help promote or showcase your business or service, as well as free resources on using and marketing merchandise and items. Our ever-increasing collection of articles is designed to help customers make informed buying decisions that best market their services and products both online and offline. Our industry-specific guides provide real-world solutions impacting single location businesses, pop-up kiosks, franchise operations, multi-site corporations, and everyone in between. Our easy-to-use website allows customers to browse every item for sale in our online catalog, and includes complete specifications and features listings. Each product includes easy access to actual customer reviews, FAQs, as well as social links for account tracking, feedback, and extra goodies such as coupons and special sale information. And behind it all, our experienced and dedicated staff of customer service professionals is available via online chat, phone, and email to help with any questions or concerns.